Deutschland is another one of the great European transit countries. Nearly every city has a tram or metro network of varying size. The cities are then tied together with ICE high speed trains. I have only barely scrapped the surface in Germany! Berlin 21 The largest and oldest U-Bahn (or subway) is in Berlin. Since the wall has come down, the U-Bahn and the commuter S-Bahn systems again link east and west Berlin. The S-Bahn is still being re-constructed to its pre-war layout. The city is extending the E. Berlin Strassenbahn network into the west side. Dortmund 4 This city in the Rhein/Ruhr area has placed most of it's tram lines in an underground subway, but is more like light rail then metro. Dusseldorf 7 Coming soon: Dusseldorf is part of the Rhine-Ruhr hub of German manufacturing. It's airport is the 3rd busiest in Germany and is well connected via rail to the city. Dresden 439 Dresden is a city that is undergoing changes since the unification of Germany. Dresden still retains its extremely large Strassenbahn network. The entire city is under re-construction. The tram lines are being renovated and re-equipped. A neat system to visit is Hamburg. It has a tightly integrated U-Bahn/S-Bahn system. The U-Bahn is also called Hochbahn, which means elevated, or high road/way. When the system opened in 1912 a good portion of the line was elevated outside of city center. 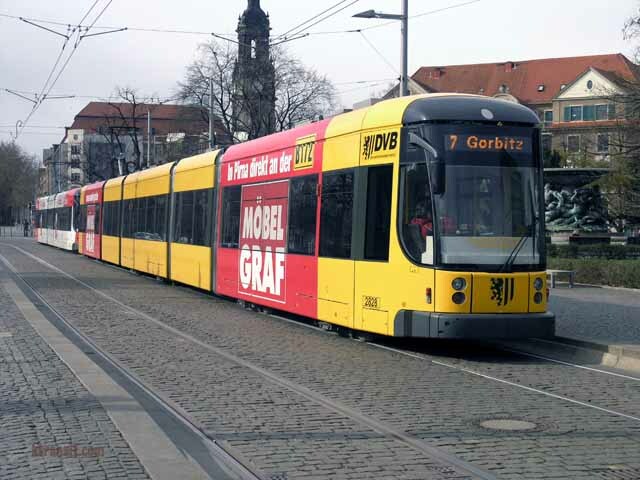 Hannover 6 Another Germany city moving trams to light rail subways. Munich 75 This Bavarian city has a highly coordinated transit system. One of the nicest in Germany! Wuppertal 11 Wuppertal contains a unique rail system. A suspended Monorail system that runs mostly of the River Wupper and partially over a city street. It is noisy, but a fun operation to ride!